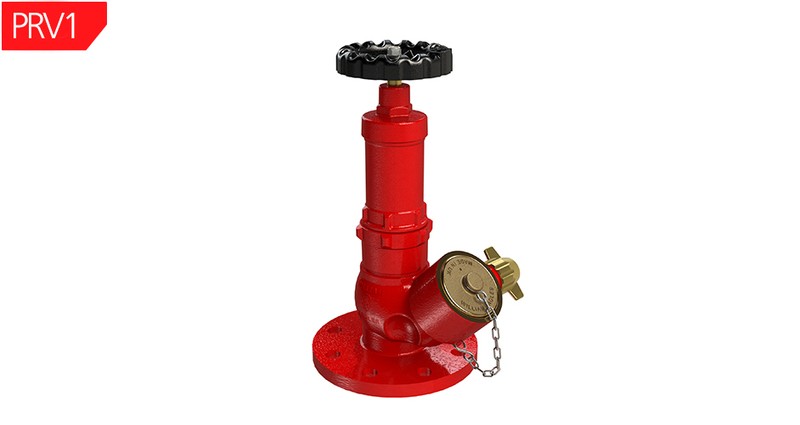 The William Eagles Pressure Reducing Hydrant 2½" nominal bore landing valve manufactured in accordance with BS 5041 Part 1 for wet risers is for use on a large cross section of both onshore and offshore. They are also commonly used in other industrial/commercial applications such as wet rising mains in offices and building hospitals and hotels. The William Eagles P.R.V is designed to maintain a safe constant outlet pressure irrespective of varying inlet pressure and is suitable for use on sites even where high or low ambient temperatures are experienced. 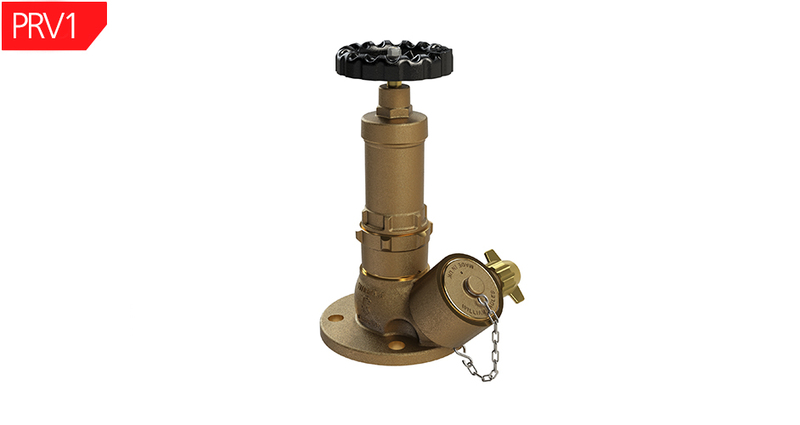 The William Eagles Element PRV utilises the cast body design of the established range of wet riser landing valves and the addition of a spring cartridge ‘element’ to provide the pressure reducing facility. 5" cast iron 'COOLGRIP' as standard. Supplied in natural finish as standard. Can be supplied painted. Instantaneous outlet available with plastic or gunmetal plug & 316 st.st. chain. Screwed outlets available with gunmetal cap or plug & 316 st.st. chain.